Corrective Action vs. Recall – Is there a difference? All customers with HeartSine samaritan units in the field should have received a corrective action form to fill out per Think Safe’s instructions. Contact us at 888-473-1777 or complete the form below for any questions on this form or your upgrade package. 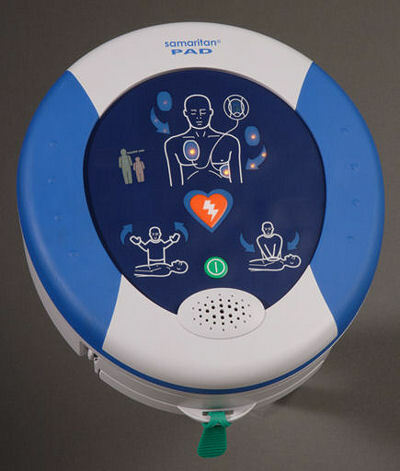 HeartSine has taken the appropriate steps to correct any potential device malfunction and the manufacturer is contacting customers to ensure all field units are updated. inquiries can be directed to Think Safe’s customer support department at 888-473-1777 regarding the corrective action. The software upgrade link online is: http://www.heartsine.com/en/library/updates/recall/ However, the software upgrade should not be done until filling out proper paperwork first. FDA corrective actions or recalls in the AED world are not unprecedented. Cardiac Science, Welch Allyn, Medtronic/Physio Control, Philips, Zoll, and Defibtech — all of the United States AED market ‘players’ have had FDA corrective actions or recalls. In an industry that has been around for only approximately 20 years, the product technology will continue to evolve and be subject to upgrades. What is the official FDA definition of corrective action vs. recall? Technically, they are the same thing. Some recalls / corrective actions do involve REMOVAL of the device from the field. The HeartSine corrective action does not. You are currently browsing the Think Safe Blog blog archives for January, 2013.